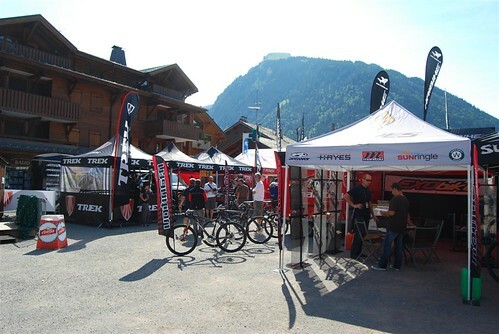 Morzine hosted the Pass Portes du Soliel show this year with a whole host of tents and stands from all the big names in the biking industry, we saw a fair few vans from the big teams around Morzine and St Jean D’Aulps during the week as well. 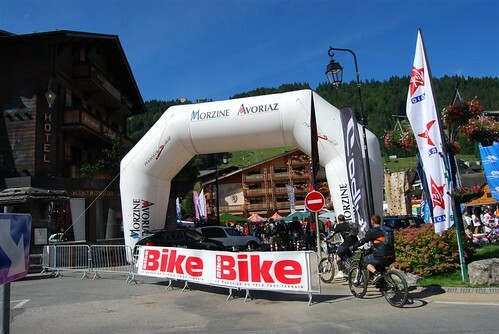 It looked like a really well attended event, a bit too well attended at one point with the Super Morzine queue stretching out for about an hour! 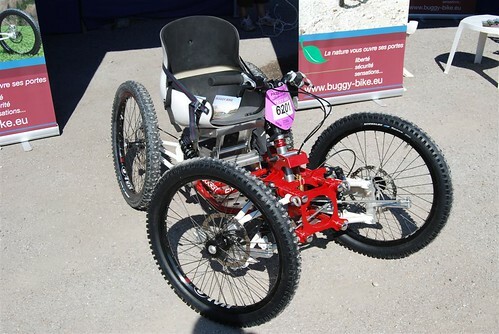 Saw some impressive bikes including our next door neighbours handicapped downhill quad buggy which along the lines of bike, trike, should I think be renamed a quike.